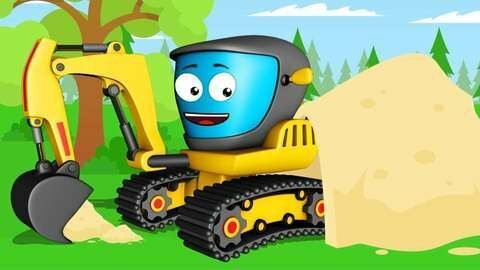 Watch how the hardworking Excavator and Happy Bulldozer both see stars when they crash into a tree in this car cartoon for kids. At first, the two are busy doing their work, but the Bulldozer gets buried under cones and the Excavator is blamed for it. They start to chase each other and end up crashing into a tree. See more adventures of car cartoons by heading to SeeZisKids.com.